Background and research interests: Catrien Bijleveld carries out research on female prisoners, incarcerated mothers, female ex-prisoners and incarcerated female beggars and vagrants at the turn of the 20th century, both in the Netherlands and Queensland. She is interested in the criminal careers of convicts as well as the impact that incarceration has on these careers as well as well as on the families of incarcerated women. In 2014, she plans to carry out a comparative research on the survival chances of children of female convicts in the Netherlands and in Queensland. She is currently investigating the possibilities for research into educational interventions with female prisoners. Catrien collaborates closely with Sanne Hissel, Candace Kruttschnitt, Katharina Joosen, Elanie Rodermond, Marian Weevers and Susan Dennison. 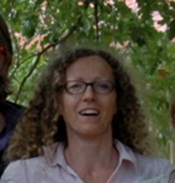 As of August 2014, she is director of the NSCR.